Here you can see the thick texture and natural feel of the fabric as well as the hand stitches I made on the ties. Those are actually scraps of material from some curtains I used to have. 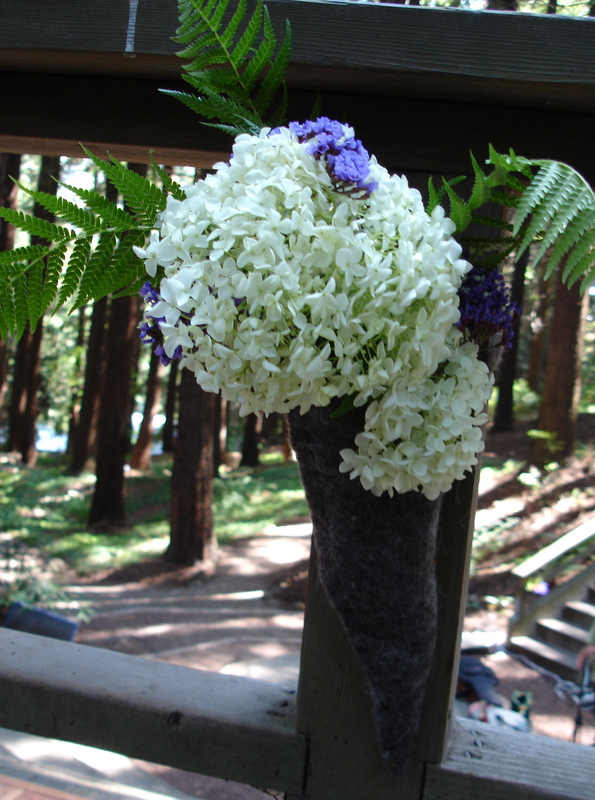 Here is one of a couple larger bouquets I made for the sides of the space. 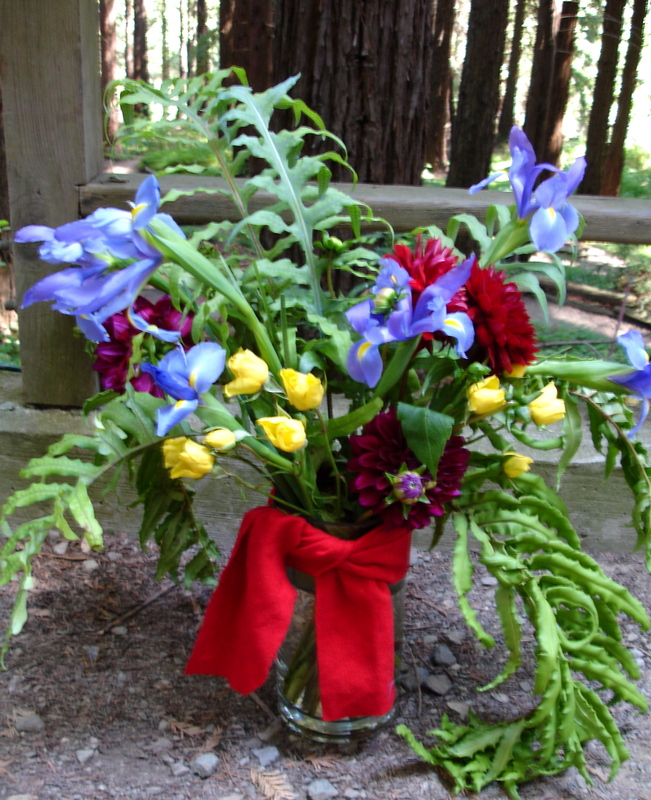 I used some gorgeous fern that actually came from the gardens themselves. 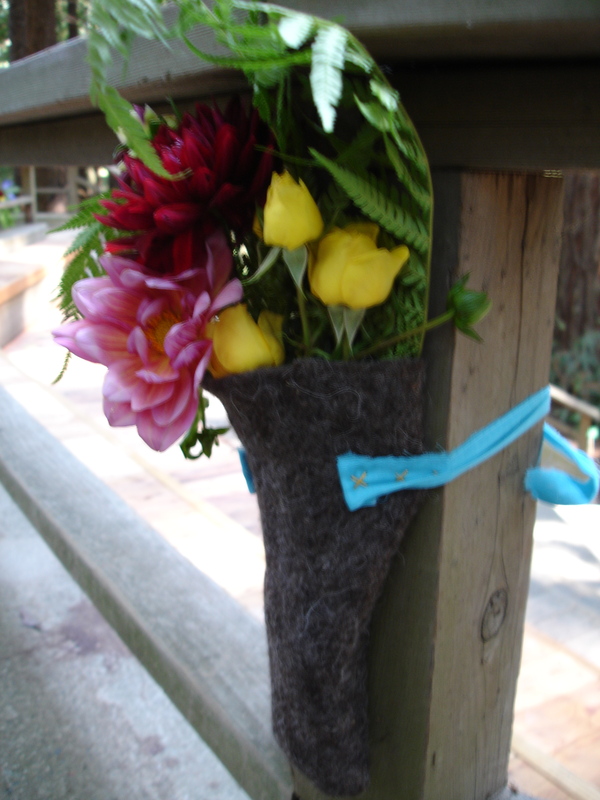 And tied some recycled cloths around the vases to add some bright color to the scene. 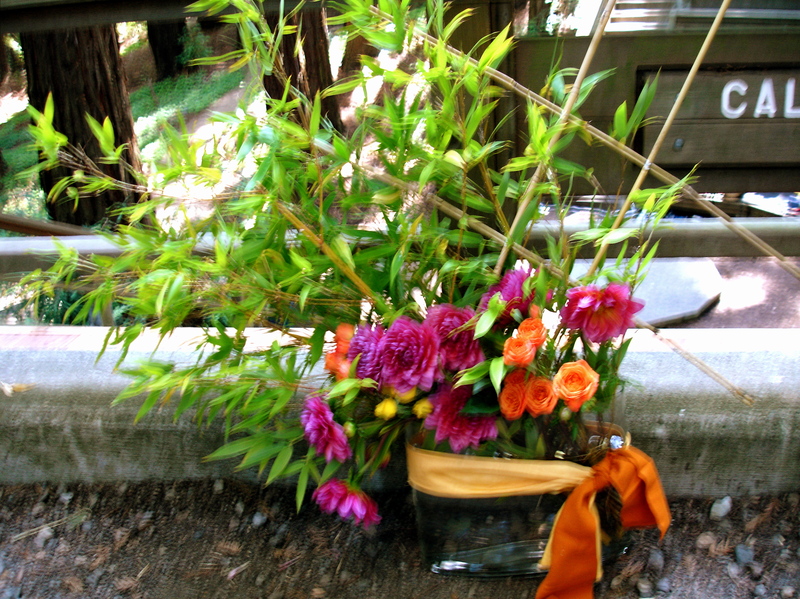 Here is another arrangement I made adding some bamboo, living and dried, to emphasize some structural art that a local artist created for the garden space. Her art was amazing, and I wish I had a good photo. Maybe next post. This photo isn't great either, but I hope to show you more pics when I get them. A Garden Party Fundraiser for... Gardens! 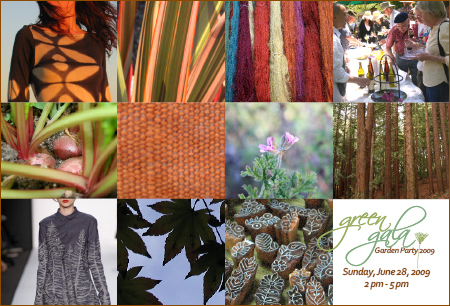 The University of California Botanical Garden at Berkeley is pleased to announce our Garden Party Fundraiser green gala to be held on Sunday, June 28, 2009 from 2pm-5pm. This year’s fundraiser will highlight the critical work we do to educate the public on the truly amazing relationship between plants and people. 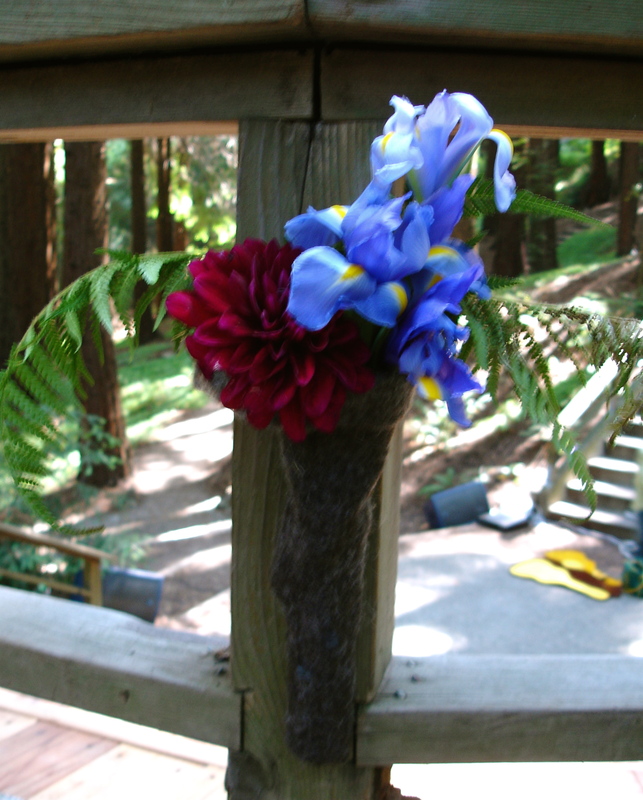 We will present a fashion show of sustainable, local designs that will be held in our stunning Redwood Grove Amphitheater followed by festivities in the Garden. A bamboo garden structure and displays of wood and other fiber and dye plants included in the Garden’s acclaimed collection will be in the entrance. 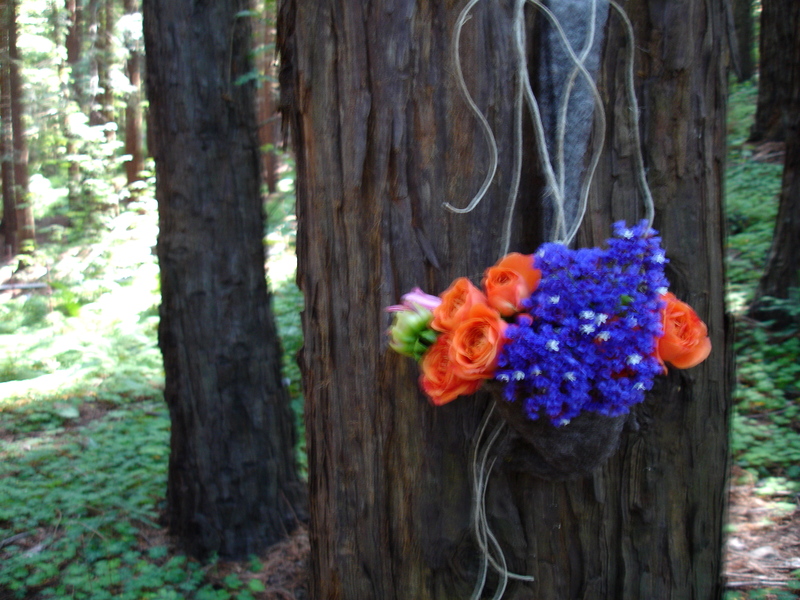 Guests will taste seasonal, organic and delicious creations from Devoted Catering by Amiee Alan. Enjoy live music and biodynamic wine from Quivira Vineyards. A silent auction of green and gorgeous items will help raise much needed funds to support the Garden’s living collections.